A Quadra of another color. 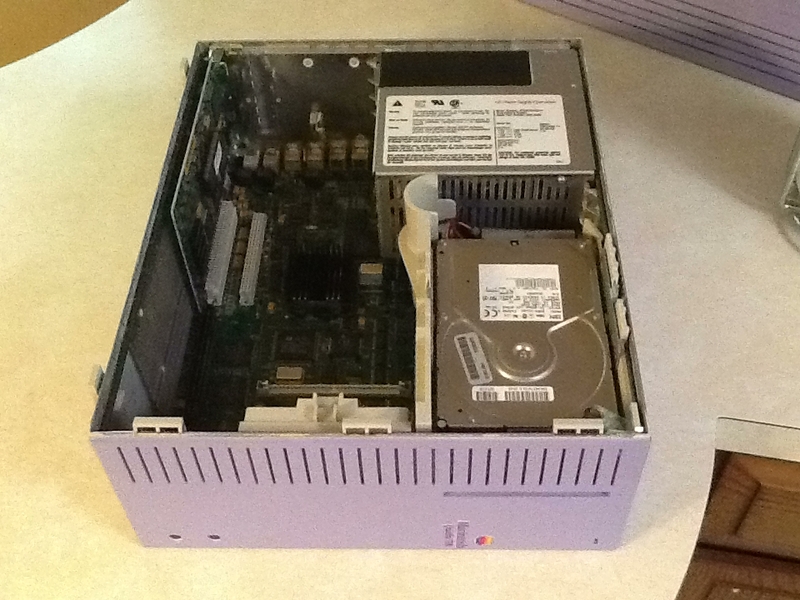 A few months ago I acquired a Quadra 700 on eBay. I took a chance on it because the case had been painted bright white with what appeared to be a broom because there were major brush strokes in it and it didn't look too good. 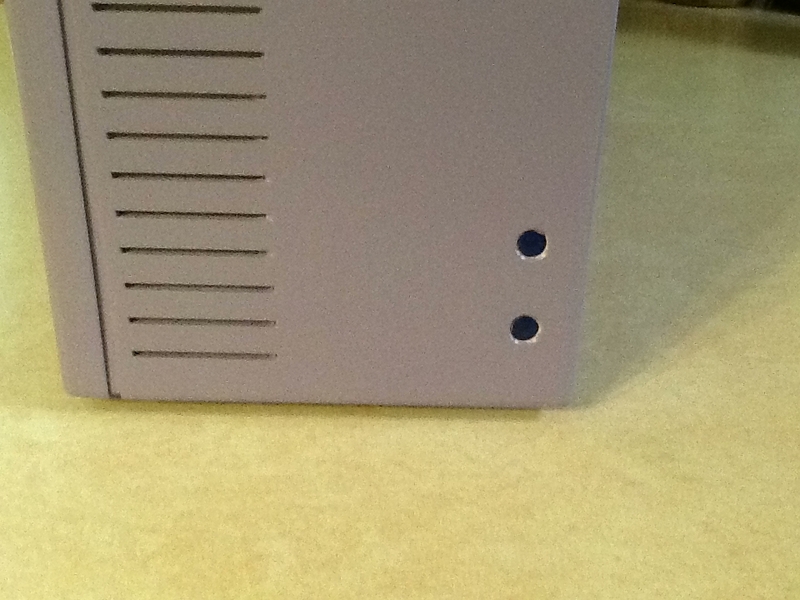 I had a IIci case that was in excellent condition that I was going to retrofit if the Mobo worked. Anyway, my 16 year old daughter said to me "Dad. It's a long weekend and you know they make paint for plastic now so you could sand and repaint this." "I am so bored, that I will even help you." I said okay. We went to the store to see if we could find a color as close to the original as possible. We struck out. Just then my daughter picked up a color and said "Dad, the Quadra should be this color. It will be one of a kind." I looked at the "loud" purple color and had a confused look on my face. She said "Come on. You have iMacs at home that are funky colors. Steve Jobs liked different colors." I looked feverishly for the standard beige to no avail and said "okay. But it is going to look weird!" Long story short, we came home, sanded, painted, and worked on it. She even made a stick on logo for it. And here it is..... The one. The only. 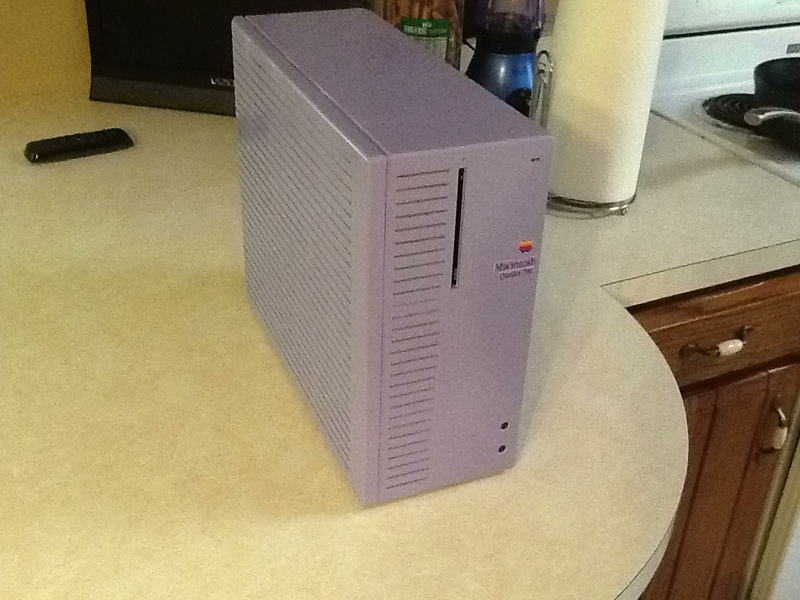 Apple Lilac 700!!!! I have to say it turned out well. She painted the buttons dark blue. I thought to my self, "What would Steve Jobs have said if he saw this back then?" Just then it hit me. 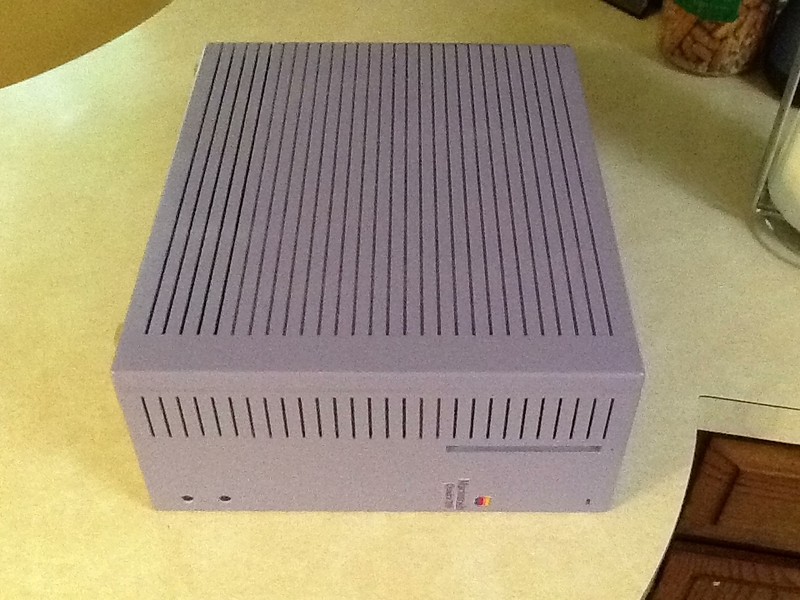 I can put this on eBay as a Purple Apple Prototype and ask $50,000.00 for it. Just kidding... I would then end up in the "This is laughable!" forum for sure. At any rate, get a load of the pictures and tell Johnna (my daughter) what you think. She did most of the work herself and it was really fun spending the day with her. By the way, I put it back together and it works perfectly! A purple mac "Sheesh!" Re: A Quadra of another color. I like it! It's great that you were able to share a project like that with your daughter. It looks outstanding. Your daughter did well. She can even make another label for it and call it "Monsiuer Mac DeLilac"
Its different, but I love it! Thanks. It was whacky at first, but it has kinda grown on me. Haha, it actually turned out a lot better than I was imagining. If anyone else ends up with a similar case, there is a good chance you can use brake fluid to remove the paint with a little elbow grease. A peroxide dip will take care of any yellowing. But the lilac is alluring.